Lets face it everyone has a few concerns about their big day. From the moment I arrive, you can relax and enjoy every moment. You’ll know your guests are having fun, I’ll break the ice and get everyone talking and laughing. They wont even notice if the photos are taking a while. I will not disrupt your wedding plans. You wont need to introduce me or make any special arrangements. 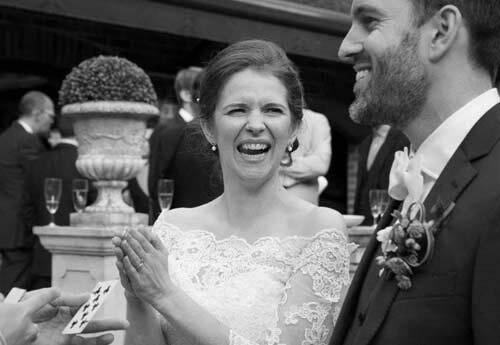 My job is to keep you and your guests entertained and everyone will be talking about your wedding for years to come! If you want the best than look no further than Parker Magic. Thankyou Guy for entertaining our guests, also encourage the day to run smoothly. You made us feel relaxed, and your magic was out of this planet good! 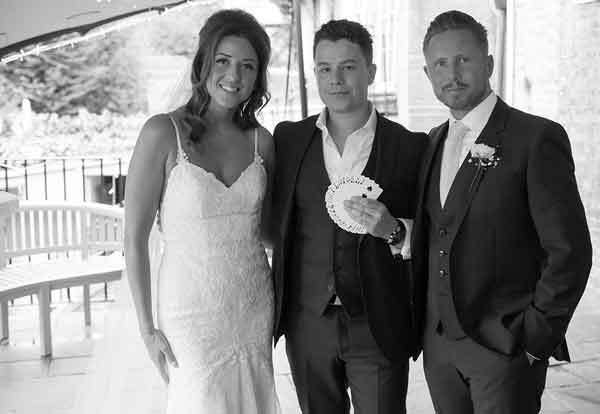 A wedding magician will give your wedding that extra spark to make sure everyone is mixing and mingling – and ultimately having a brilliant evening. It’s important to understand that not everybody wants to get up and dance at a wedding, so this is where a wedding magician is perfect. The magician is able to go around to those who do not want to dance, and make sure that they are enjoying the evening too by showing them some unforgettable close up magic.